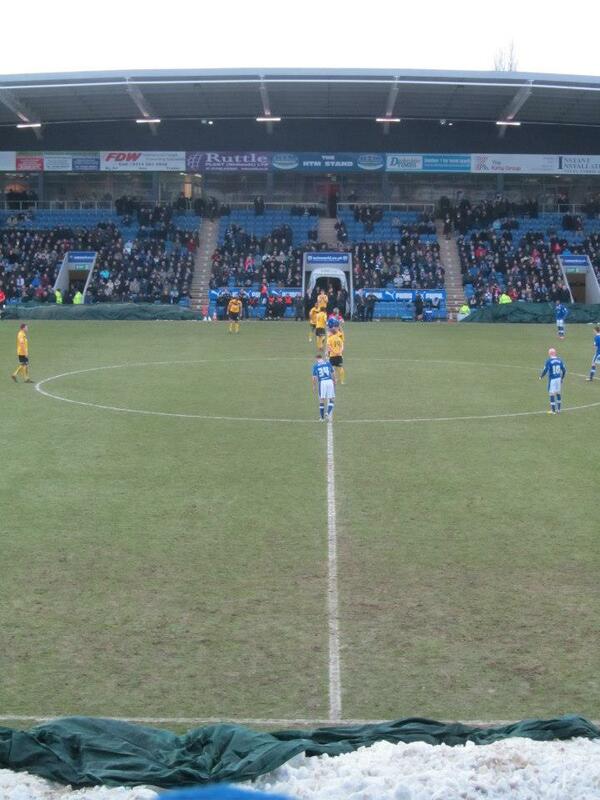 This was a match between two of the bigger teams in League 2, with both targeting promotion to the third tier this season. 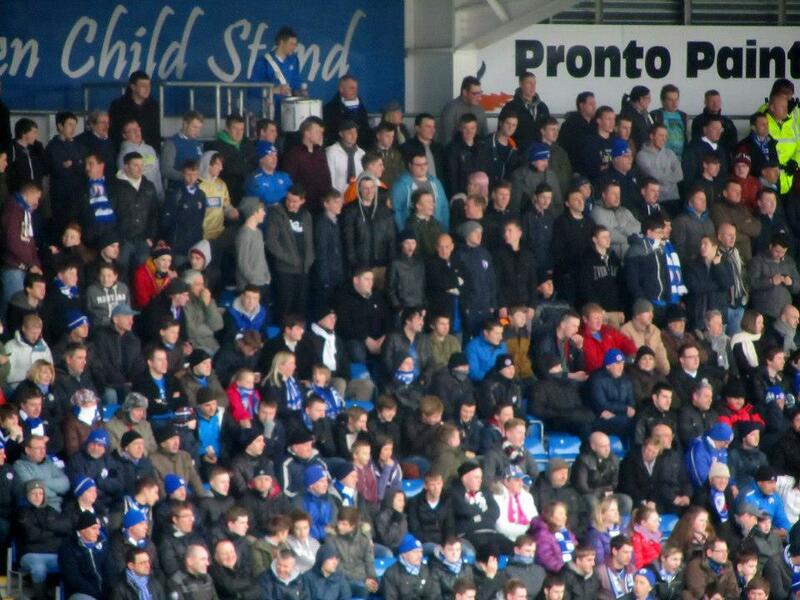 Coming in to the game however, they were sat outside the top seven and it meant that this was a very important contest for the two sides. 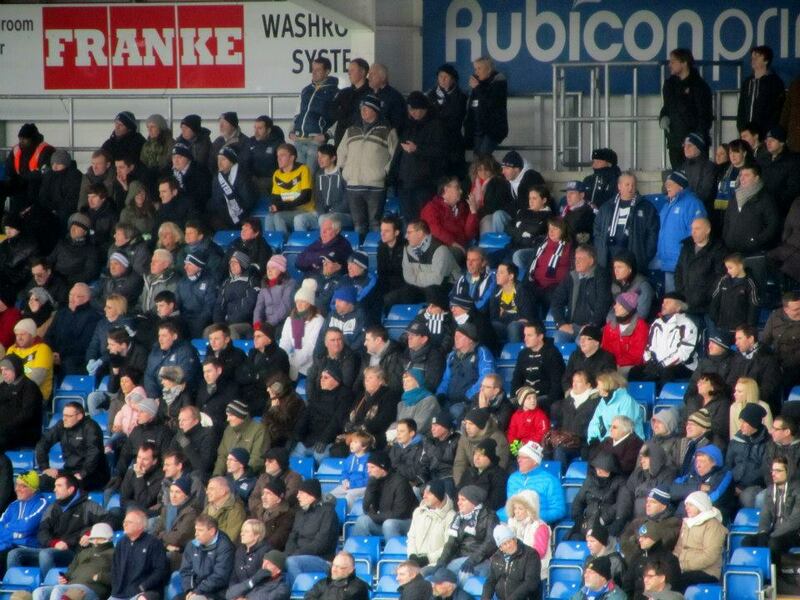 In the reverse league fixture just over a month ago, the Shrimpers had come away comfortable 3-0 winners but the visitors hadn’t won a game since Boxing Day. 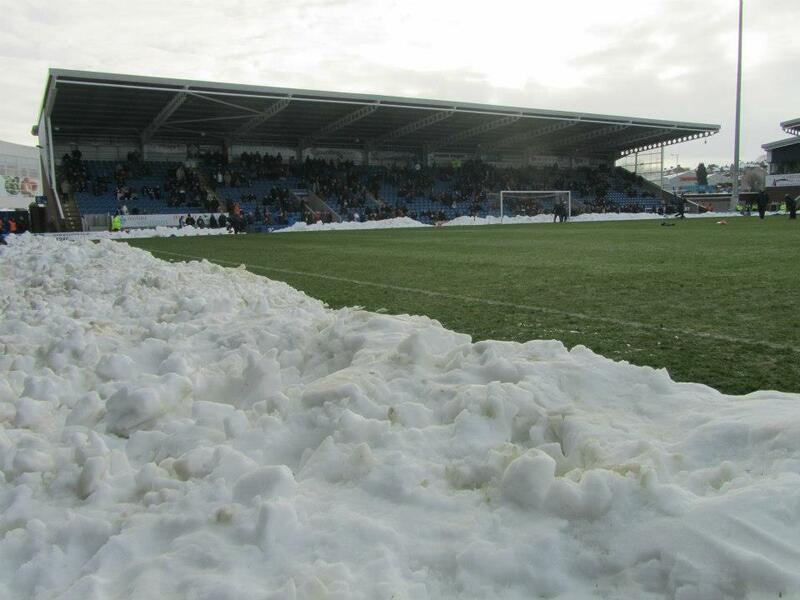 Chesterfield had also had a mixed start to the new year, losing the first two games away to Accrington Stanley and Wycombe Wanderers before an excellent 3-0 victory against Northampton Town two weeks ago. 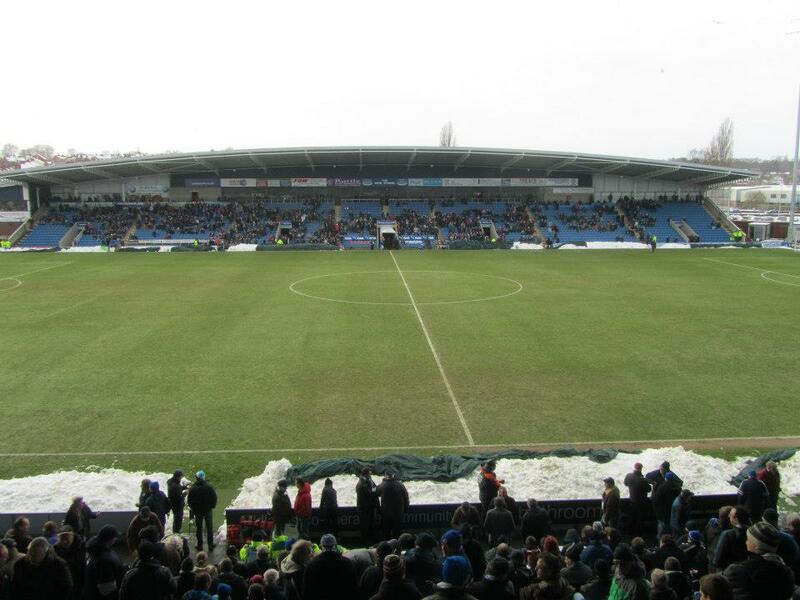 Chesterfield boss Paul Cook named the same starting eleven from the win over the Cobblers in their previous fixture and he put new signings Richard Brindley and Armand Gnanduillet amongst the substitutes. 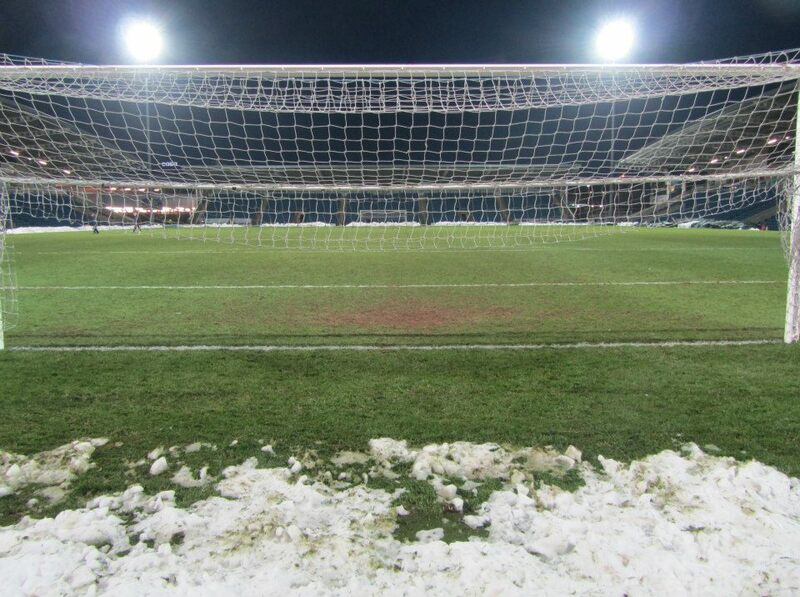 Two changes were made by Paul Sturrock to the Southend side that had lost to Brentford in the FA Cup in midweek, with Michael Spillane and Ryan Leonard taking the places of Anthony Straker and Luke Prosser. 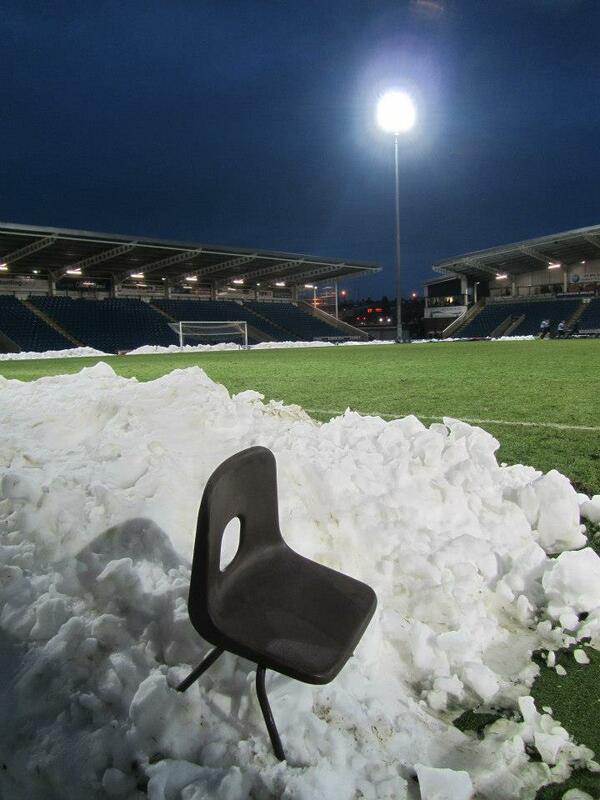 Heavy snow on the Friday night had put the game in some doubt, but excellent work from volunteers in the build up to the match ensured that it went ahead. 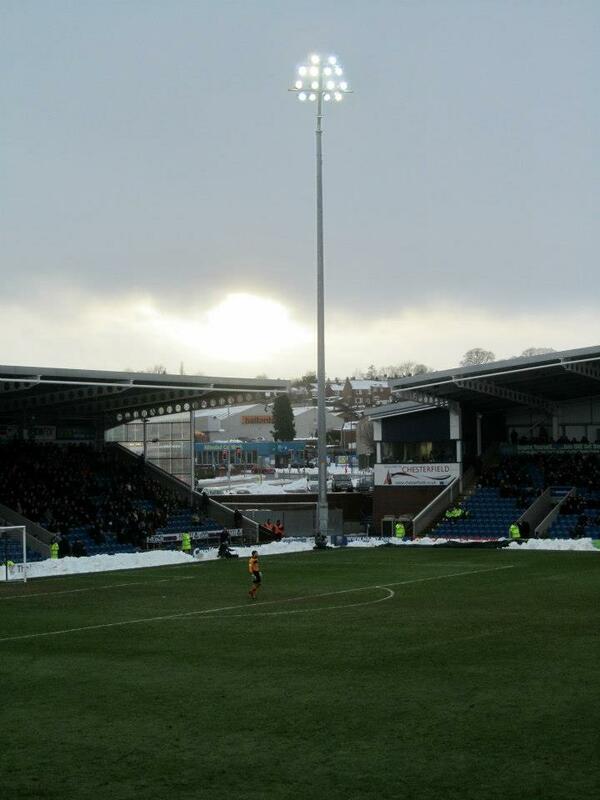 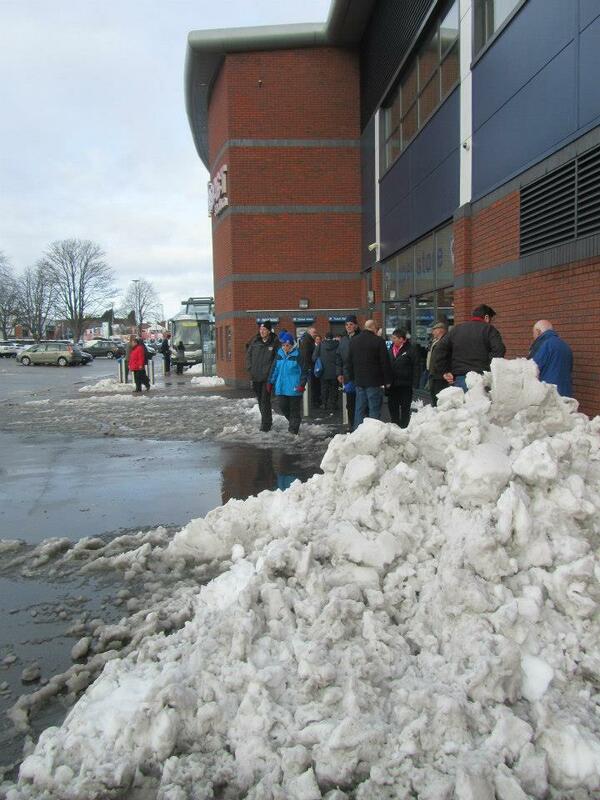 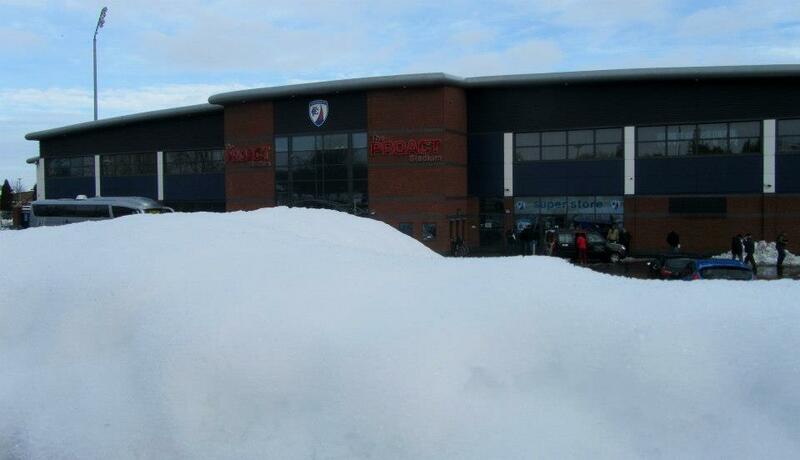 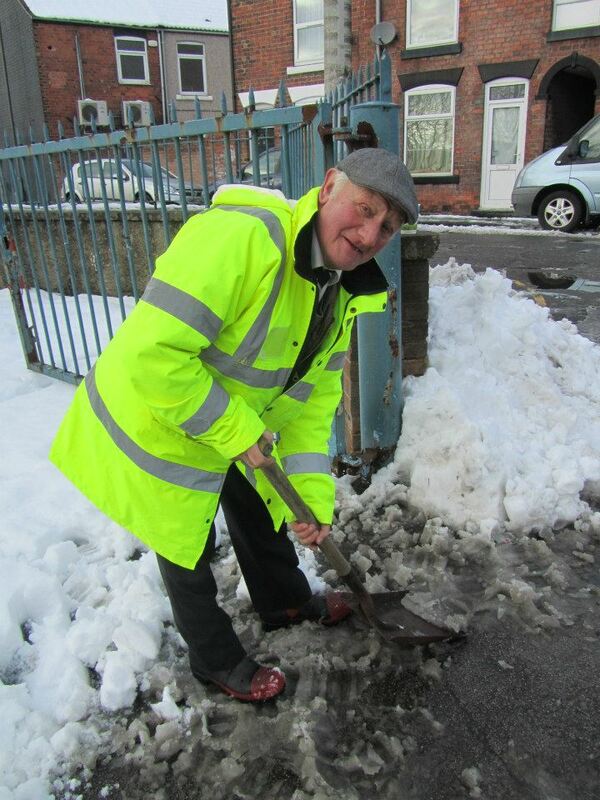 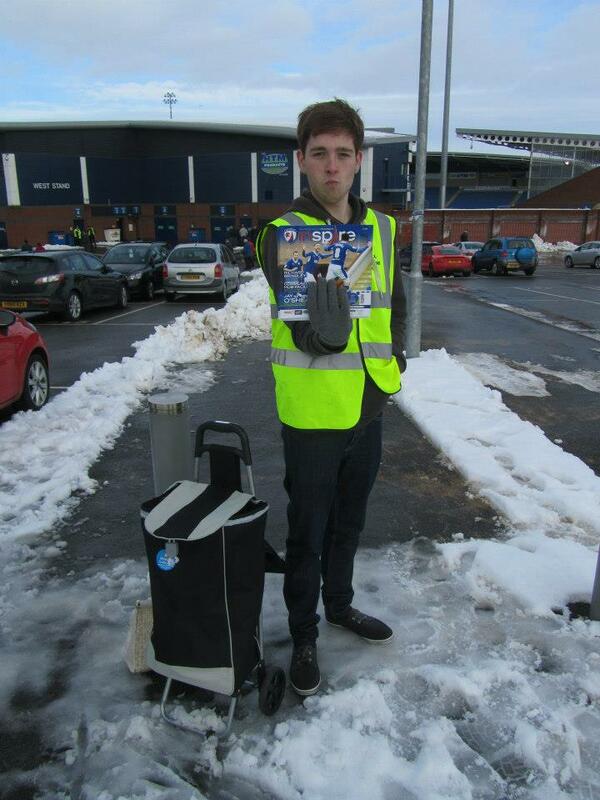 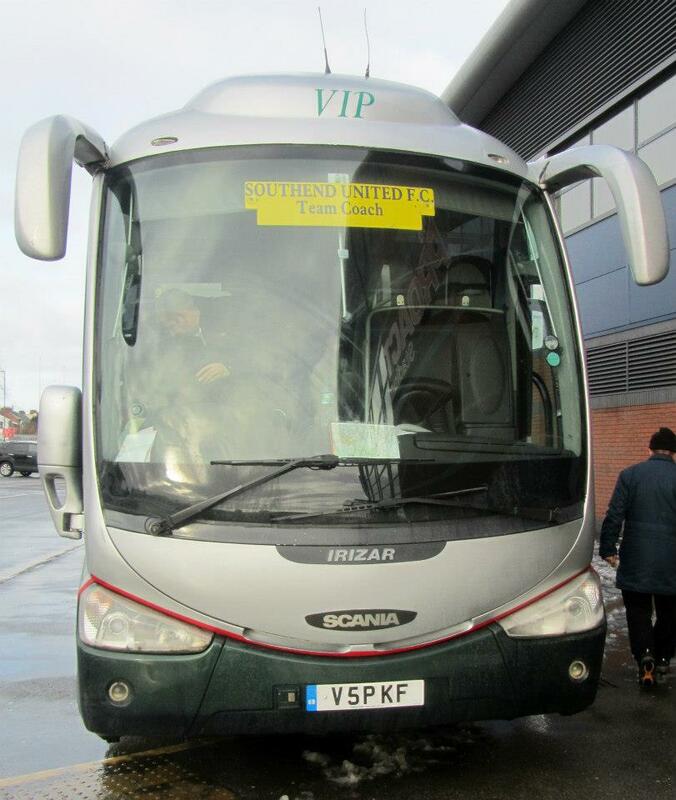 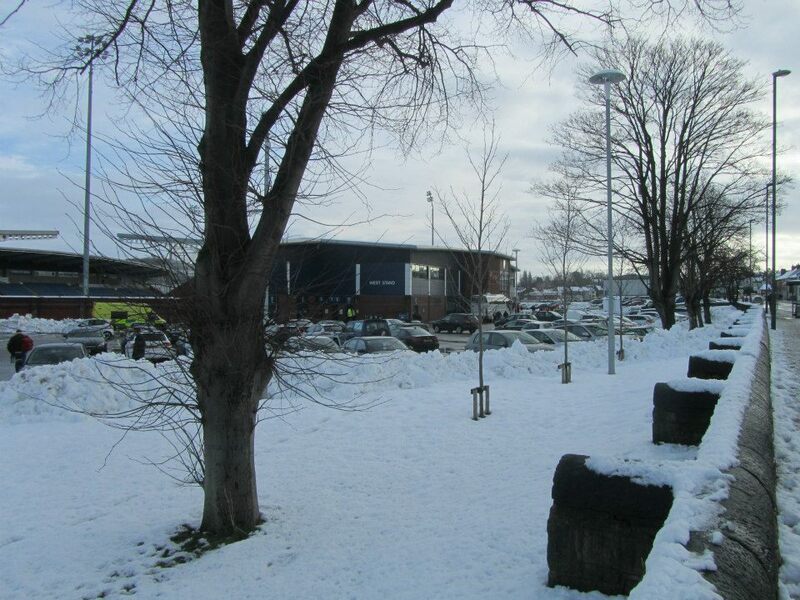 In fact it was quite a mild day in Derbyshire despite the large piles of snow all around the stadium. 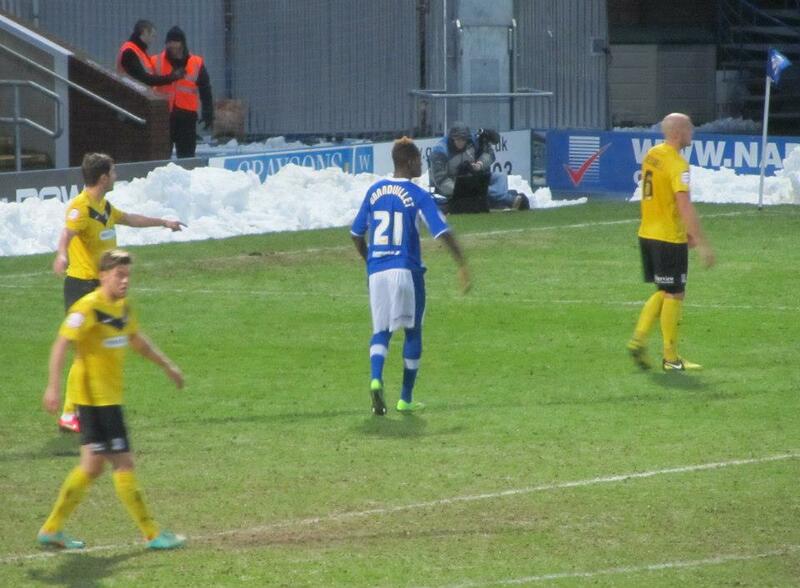 The first half was rather scrappy with few opportunities for either side. 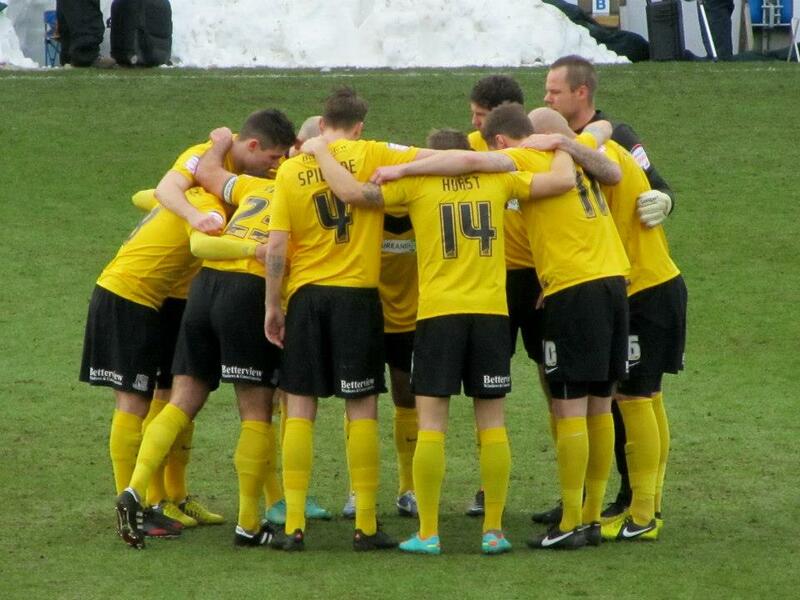 Southend came close to breaking the deadlock early on but they were sopped by some excellent goalkeeping. 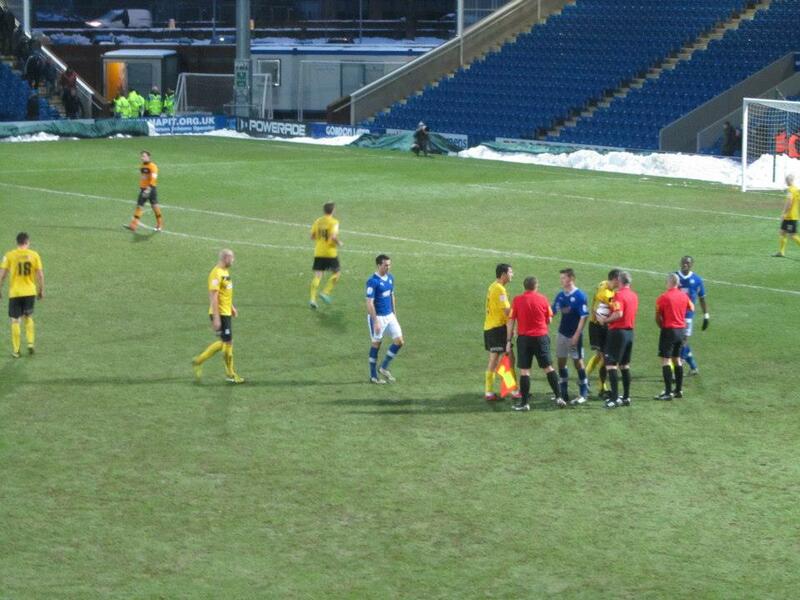 Kevan Hurst’s cross was flicked on by Ryan Cresswell to Gavin Tomlin, but his strike was quickly smothered by Tommy Lee. 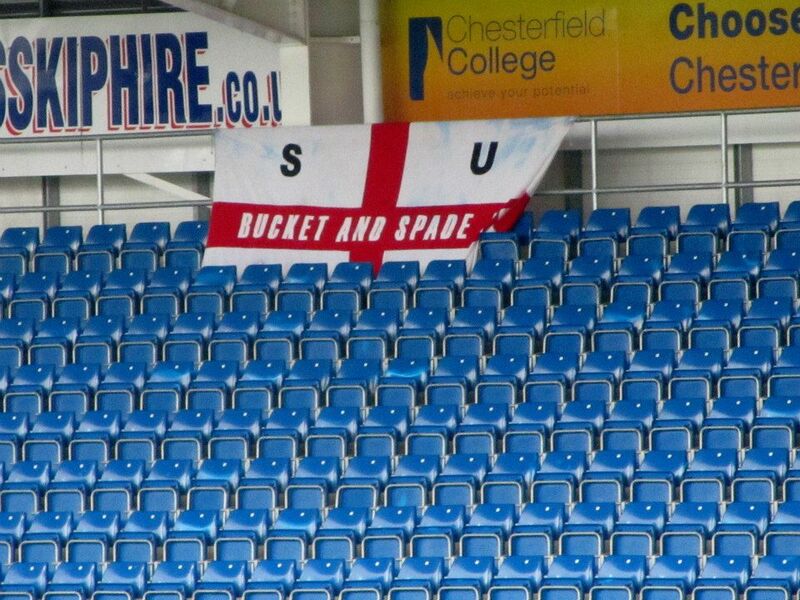 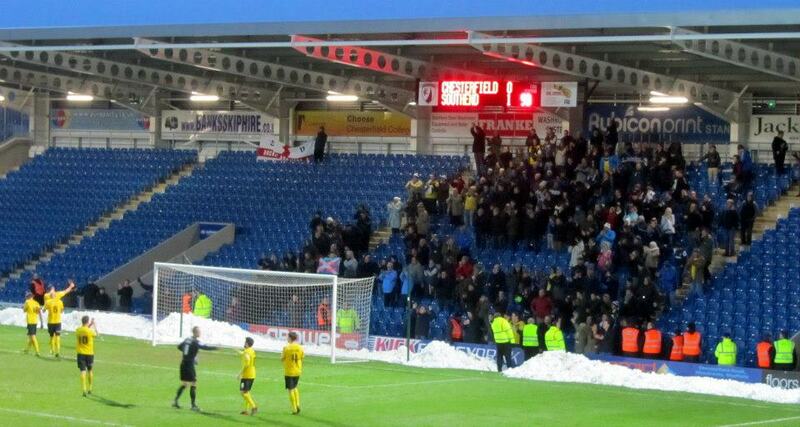 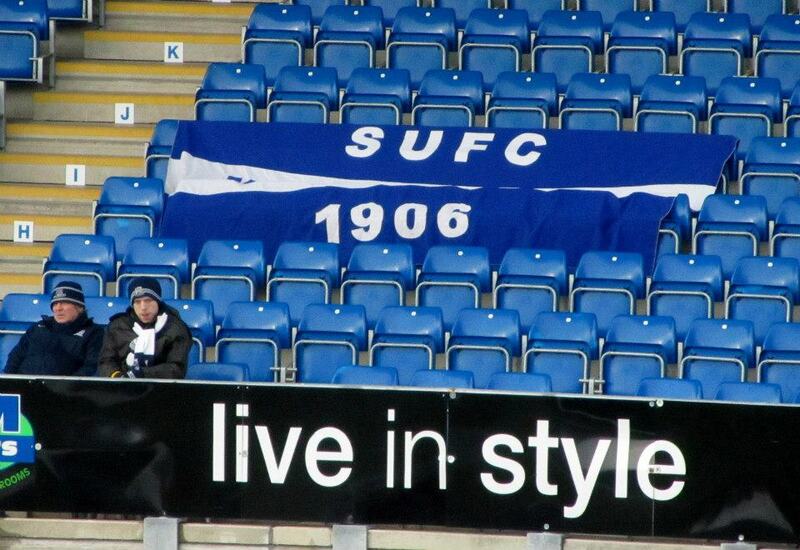 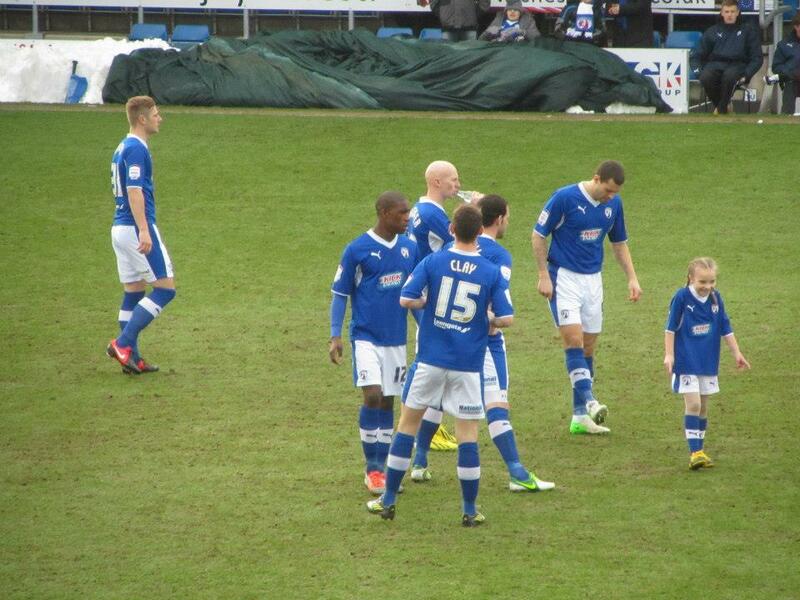 Chesterfield best chances of the opening 45 minutes came from two free kicks in quick succession. 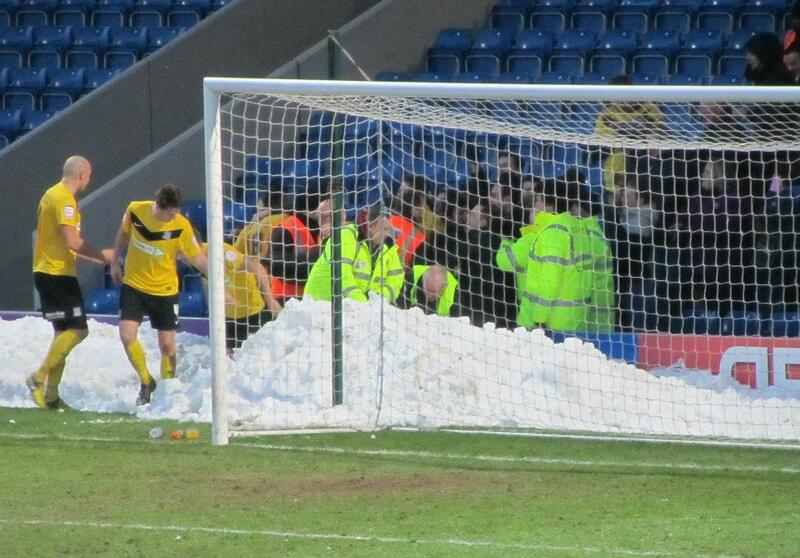 Richards twice came close with direct strikes from the edge of the area, the first being tipped on to the crossbar with the faintest of touches from Paul Smith before the goalkeeper was again forced in to action as he palmed away the second attempt. 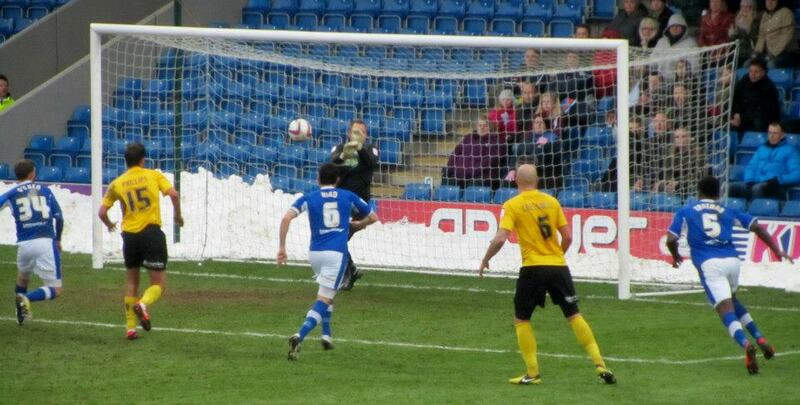 The Spireites’ number 9 again came close to opening the scoring at the start of the second half. 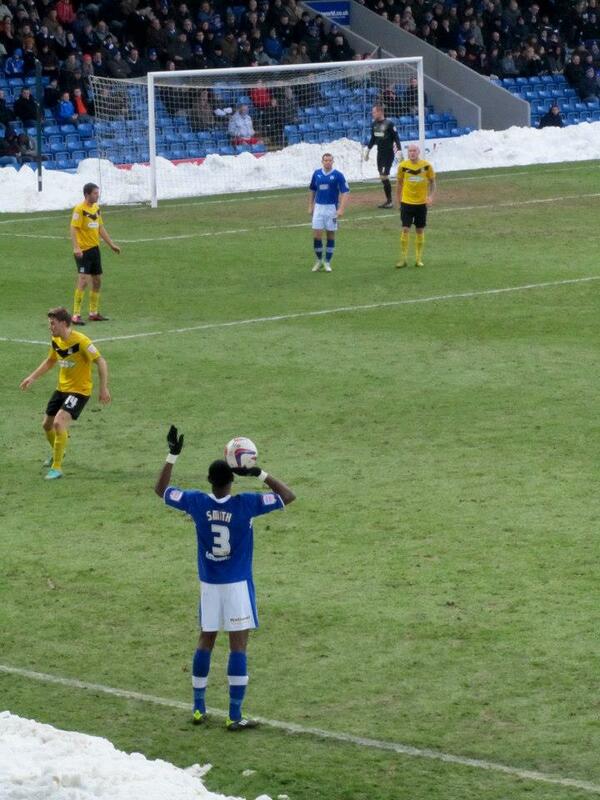 Tendayi Darikwa headed the ball goalwards and it fell to Richards, whose close range shot was well-saved by Smith. 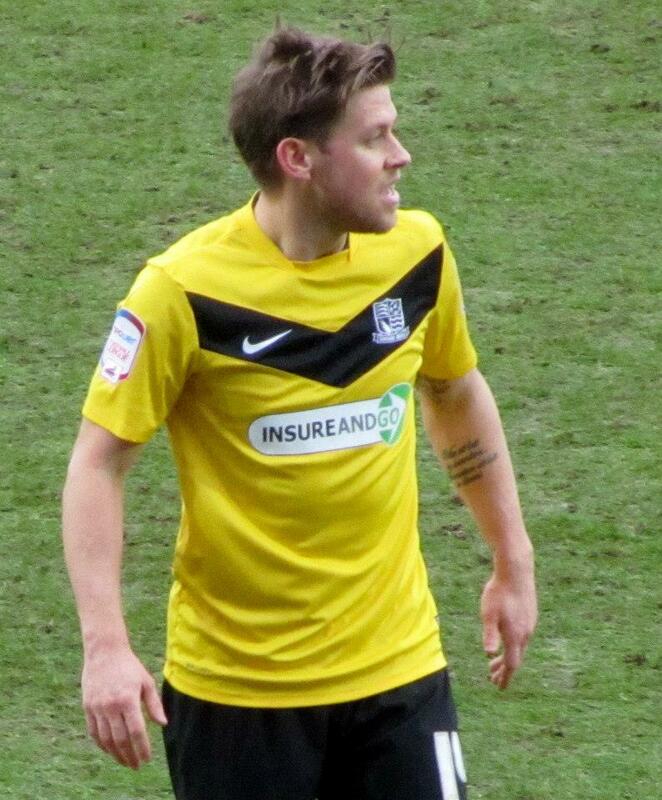 Southend created a good chance of their own when Sean Clohessy went on a mazy run before playing Barry Corr through on goal, but the striker scuffed his effort as he attempted to turn and shoot and it rolled harmlessly into the arms of Lee. 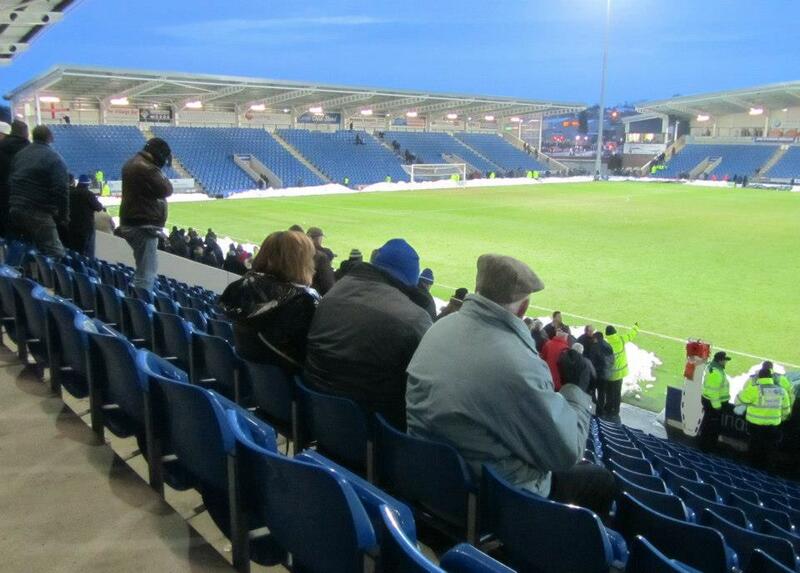 Jack Lester was brought on with around 30 minutes to play and Chesterfield began to push forward in search of a goal that would almost certainly win them the game. 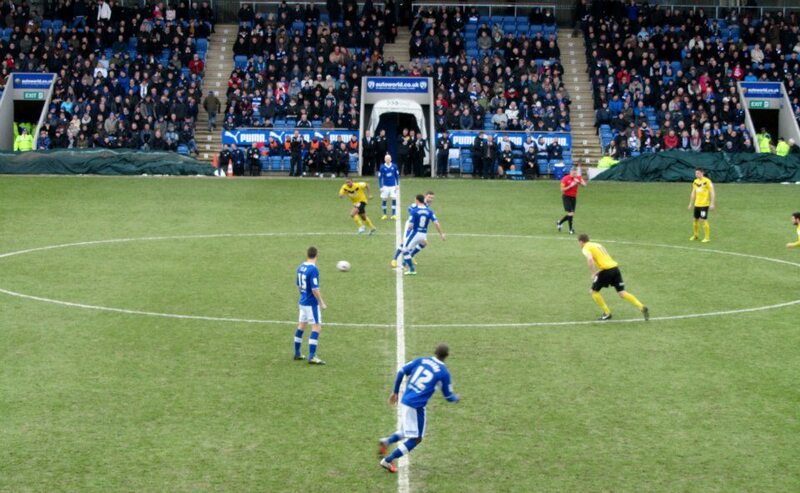 However, they lacked the clinical finishing required and this was shown as Smith and Whitaker both sent weak efforts towards goal. 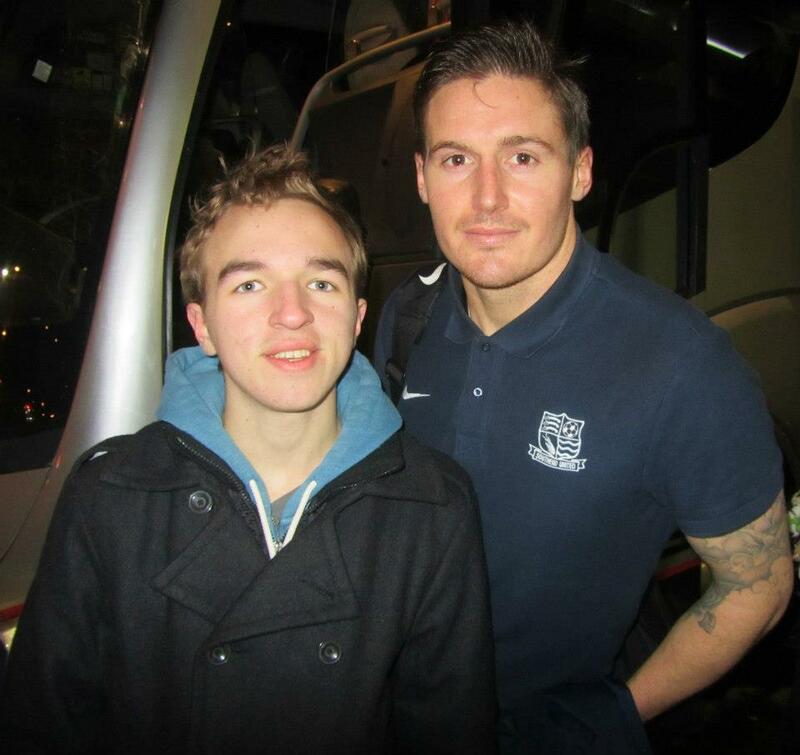 Then, with just seven minutes left to play, the Shrimpers stole all three points. 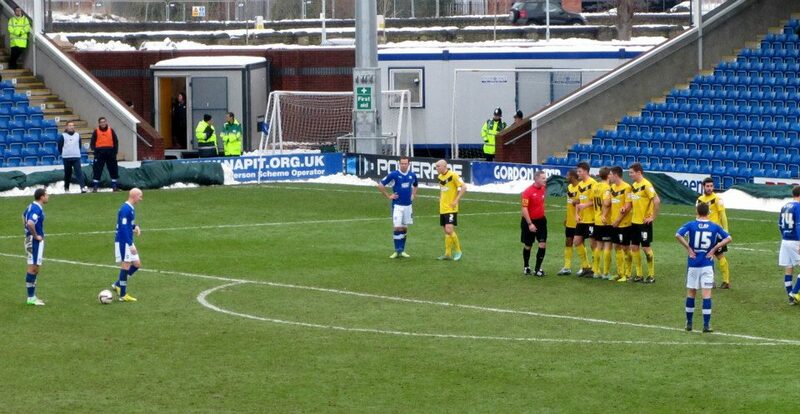 Michael Timlin stole possession from Sam Togwell before playing through Tomlin, who made no mistake as he calmly slotted the ball in to the far corner to elate the travelling supporters. 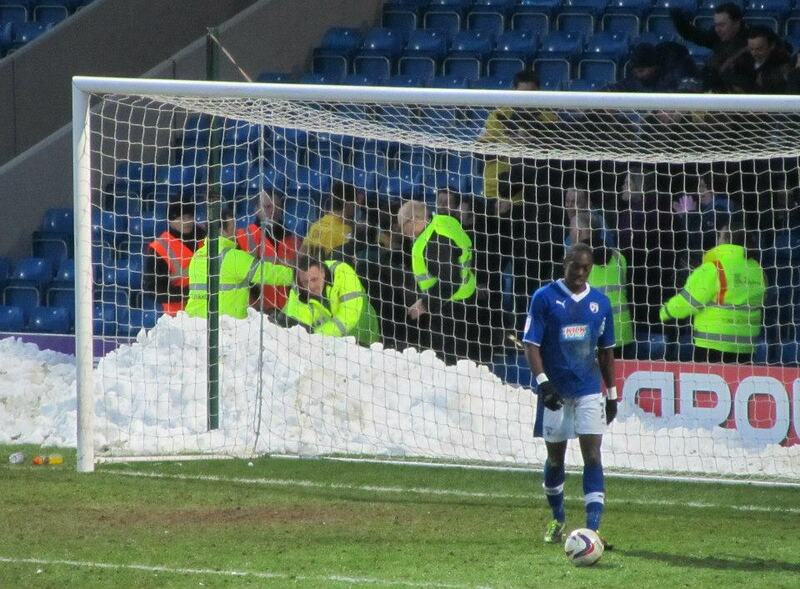 Cook handed a debut to 6ft4 Ivorian striker Armand Gnanduillet with around three minutes to go, and he almost became an instant hero as he met a corner but sent the ball bouncing over the crossbar. 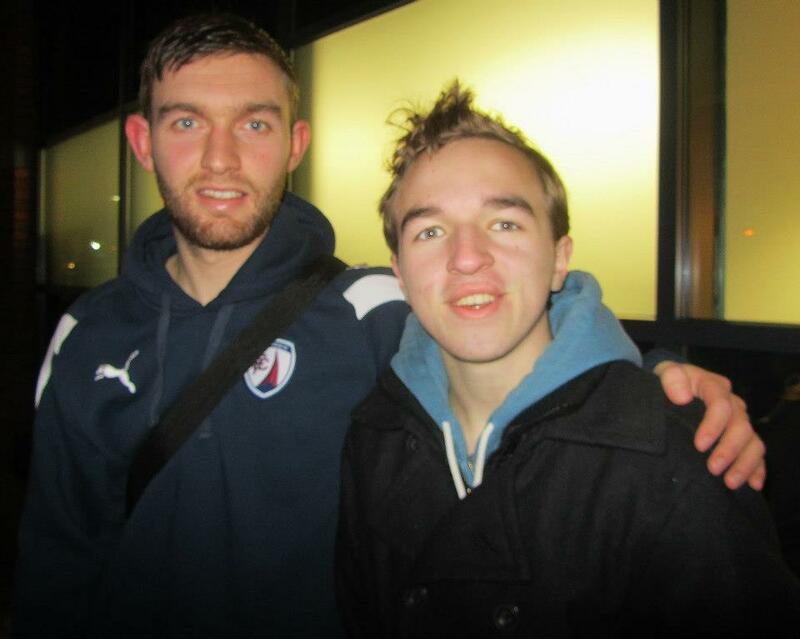 Fellow substitute Conor Townsend then almost snatched a point for the Spireites but the Shrimpers goalkeeper pulled out another magnificent save at the death to earn his side the victory. 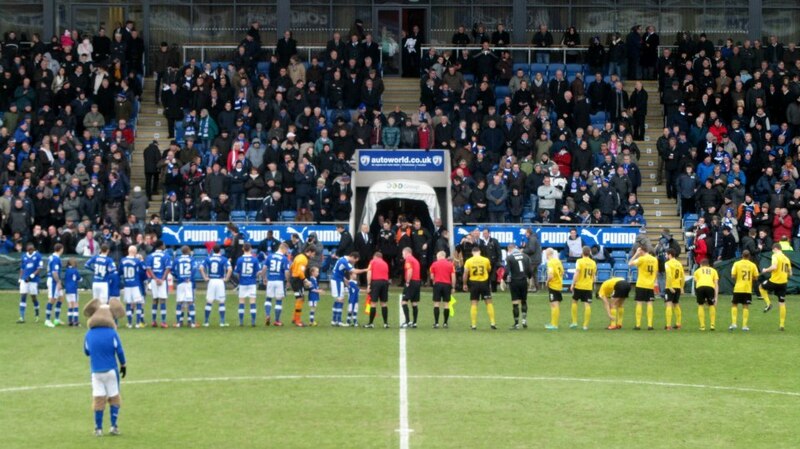 Southend had failed to create many clear cut opportunities but when their chance came, they were much more clinical in front of goal than the Spireites and ultimately this proved to be the difference. 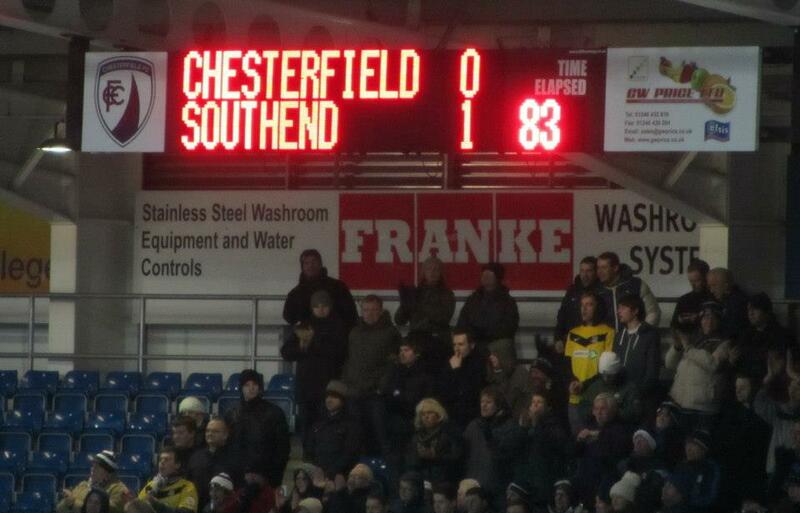 The result sees the Shrimpers move up in to the final play off spot while Chesterfield remain in mid-table in 11th position. 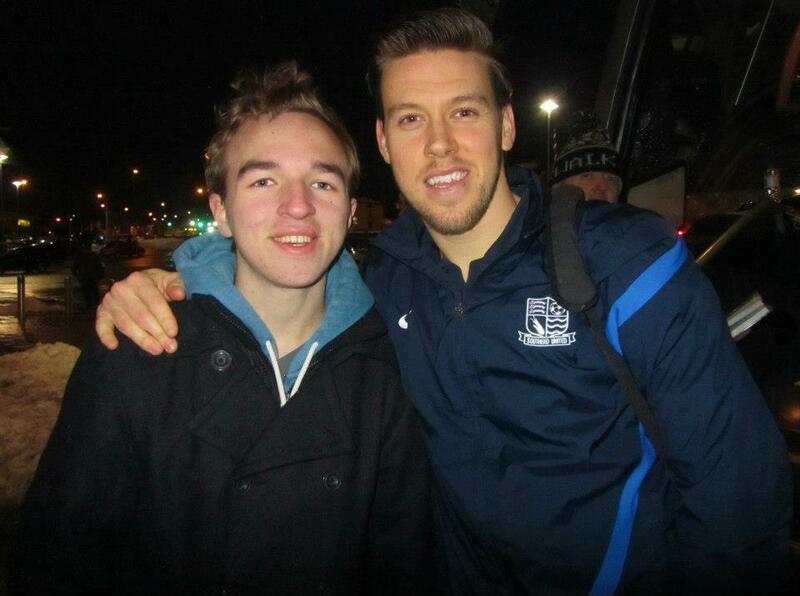 After the game, I met Southend goalscorer Gavin Tomlin, Barry Corr and former Spireite Kevan Hurst. 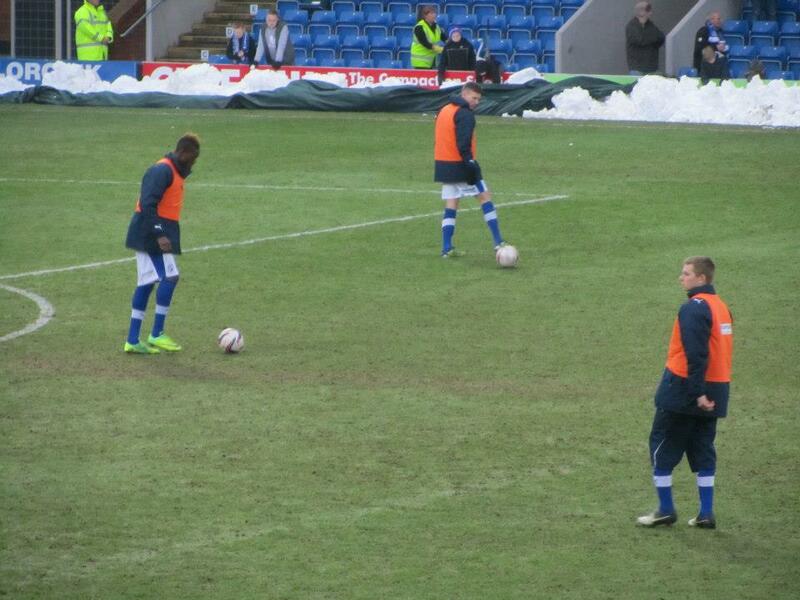 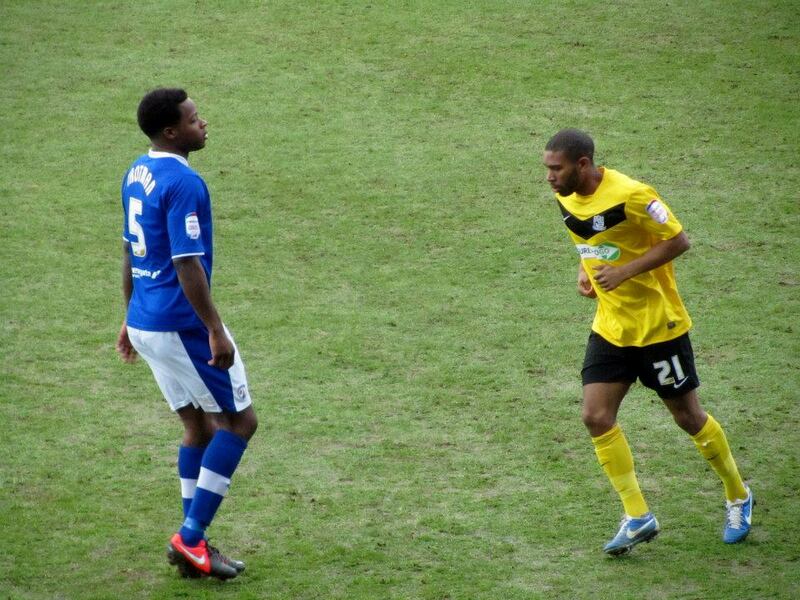 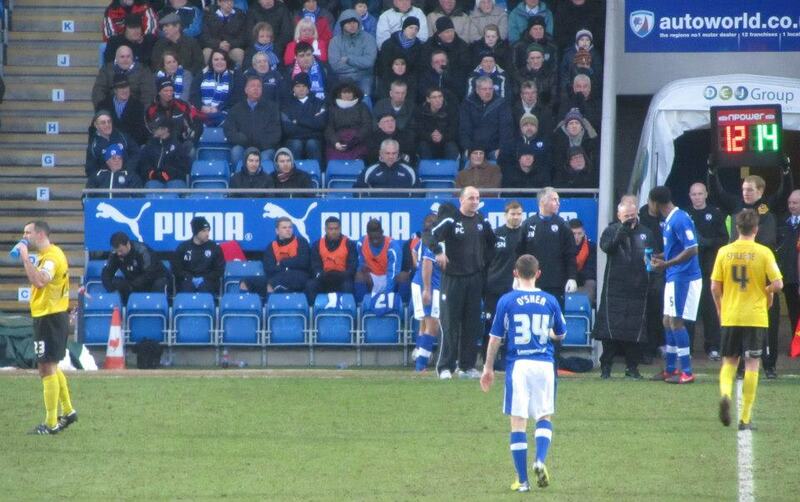 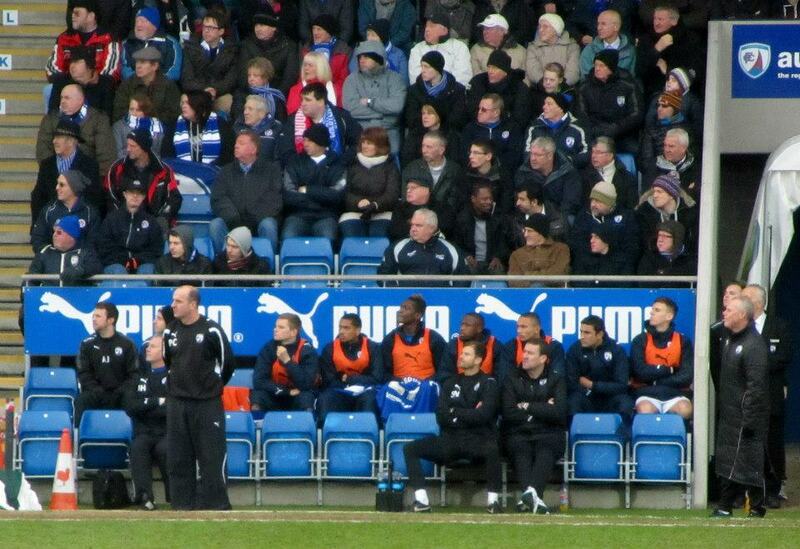 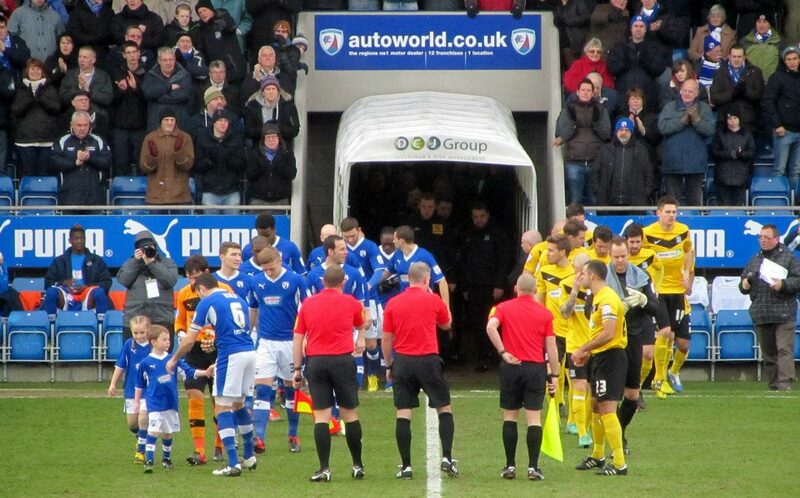 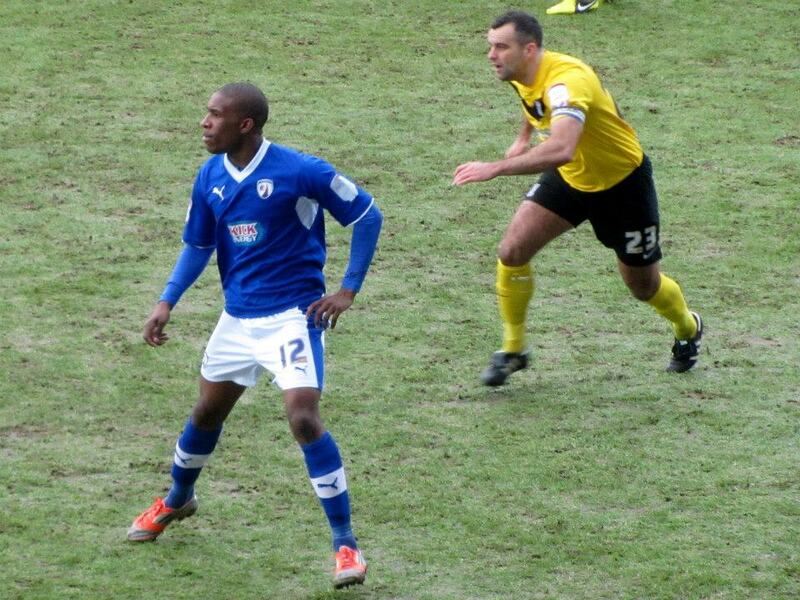 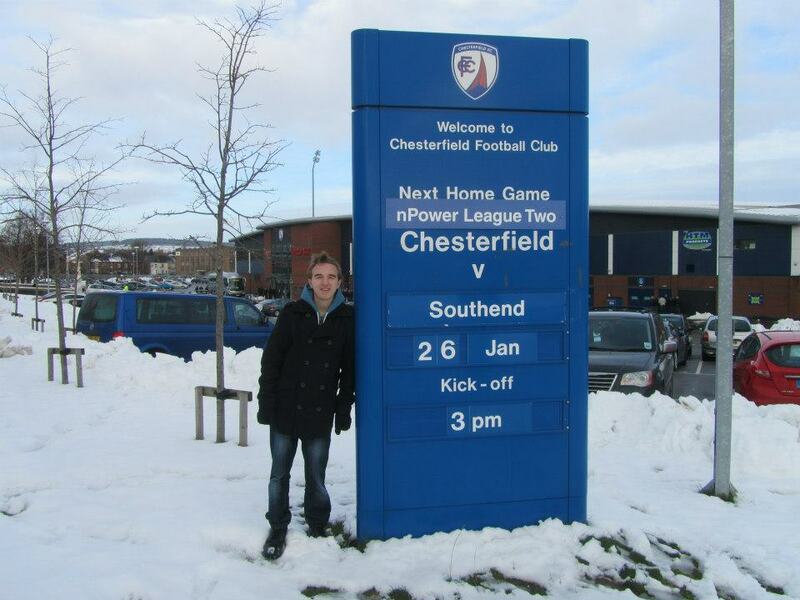 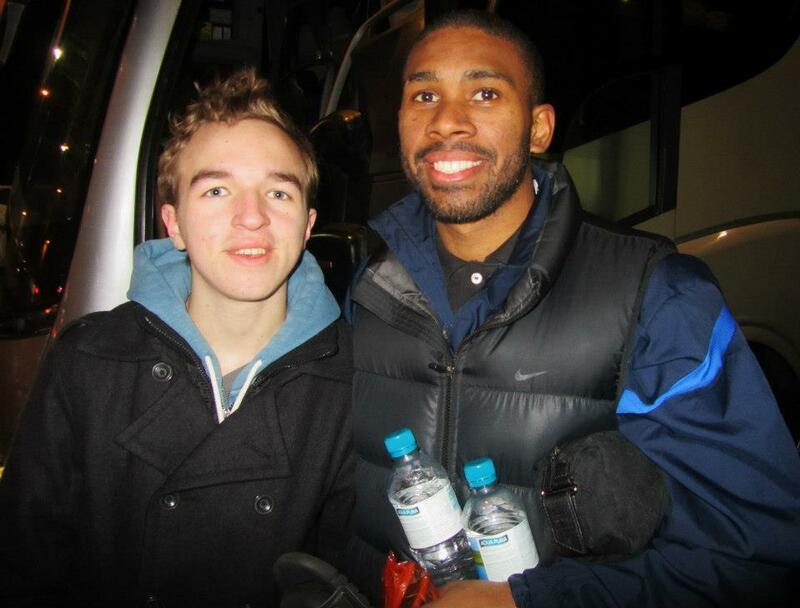 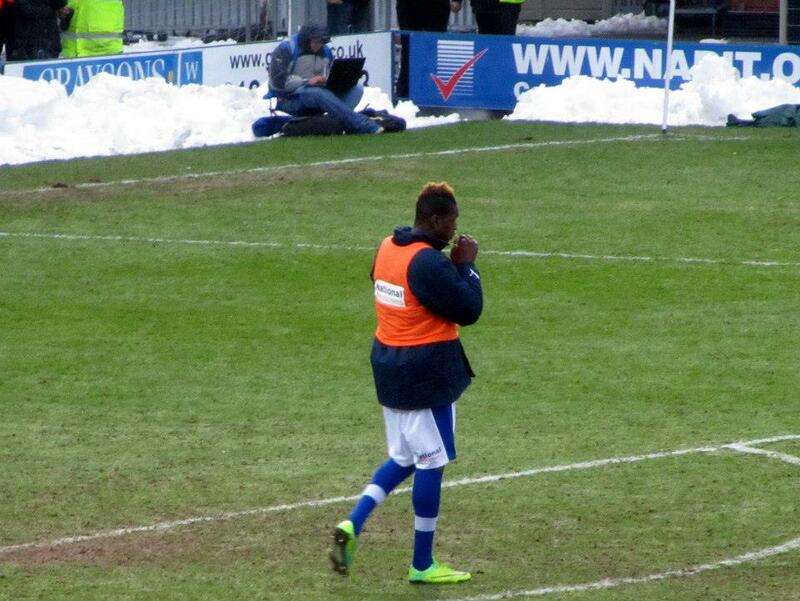 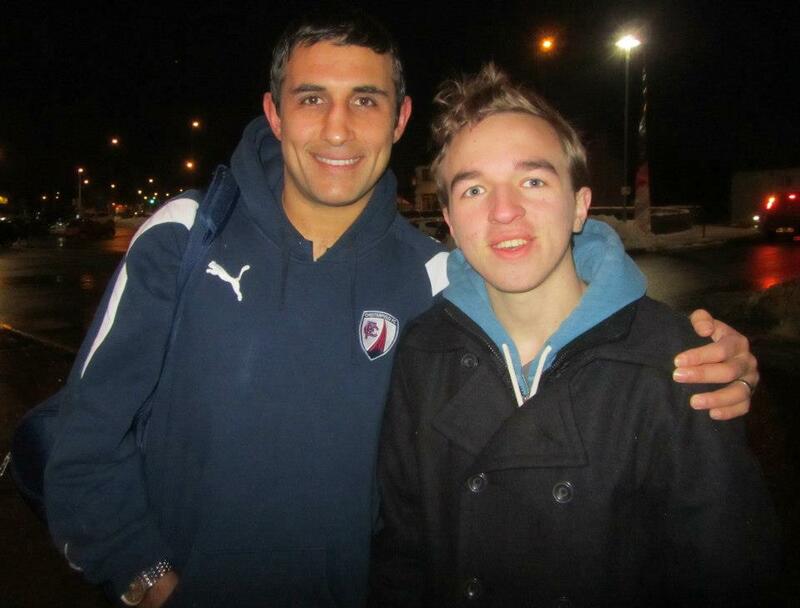 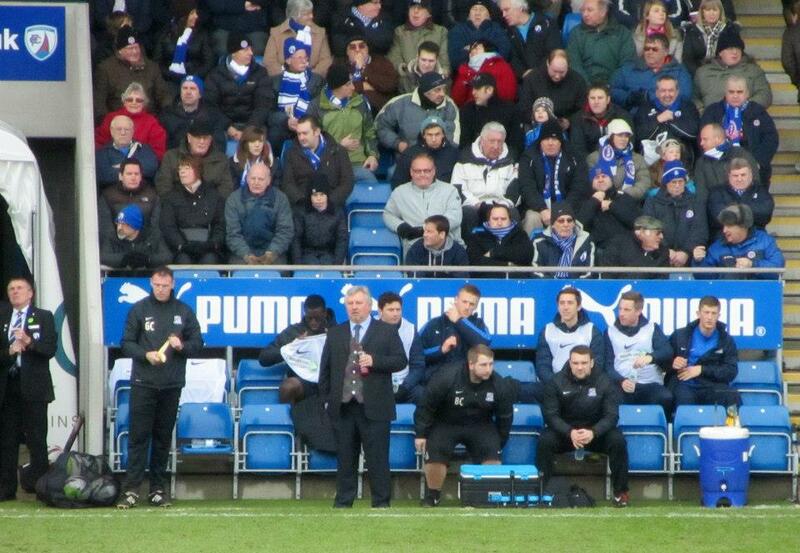 I also got photos with Jack Lester, Jay O’Shea and Armand Gnanduillet on the day of his Chesterfield debut.